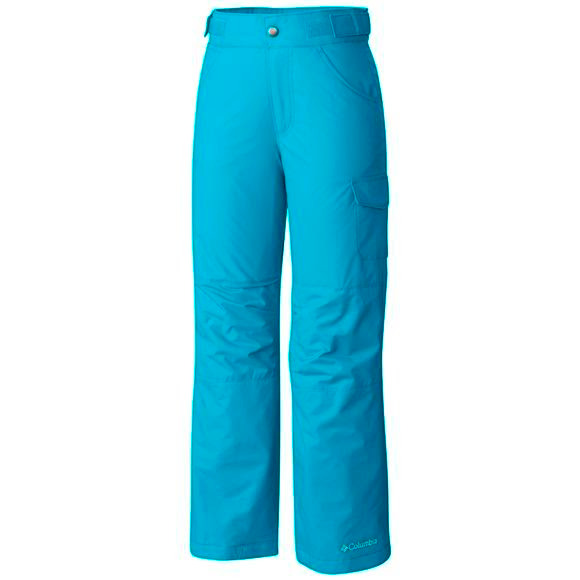 Omni-Shield® technology makes these warm, insulated Columbia pants resistant to rain and stains (and snow!) and the Outgrown™ system allows you to keep up with inevitable growth spurts, so she can wear them for several seasons. Internal leg gaiters and reinforced cuff guards add even greater protection and durability. The result? Omni-Shield® technology makes these warm, insulated Columbia pants resistant to rain and stains (and snow!) and the Outgrown™ system allows you to keep up with inevitable growth spurts, so she can wear them for several seasons. Internal leg gaiters and reinforced cuff guards add even greater protection and durability. The result? She&apos;ll stay clean, warm and comfortable during her cold-weather excursions.